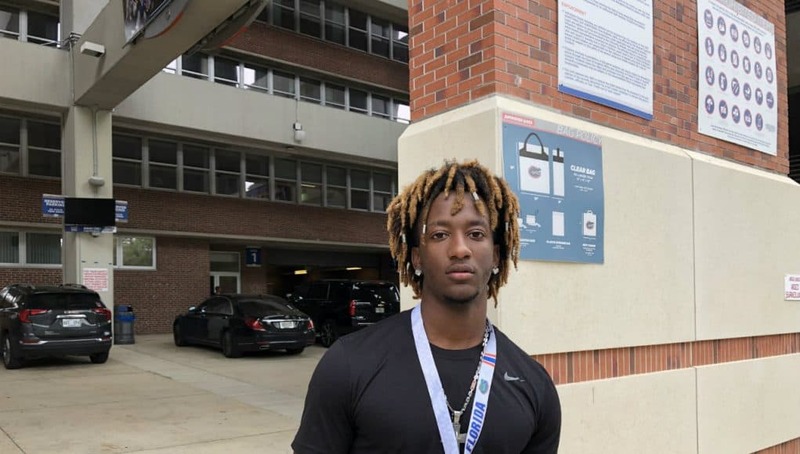 The Florida Gators hosted their second junior day on Saturday as the targets got the chance to watch the Gators go through spring practice. Athlete Caziah Holmes (5-11, 179, Cocoa, FL. 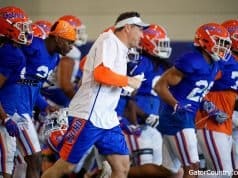 High) was on campus to watch the visit and he liked watching the Gators practice. Holmes who plays both sides of the ball in high school says that the Gators prefer on offense. On Saturday, Holmes got the chance to meet and talk with running backs coach Greg Knox. Holmes also got the chance to see how the Gators run their offense and he feels like he can fit into what Florida wants at running back. The Cocoa athlete was offered by Jim McElwain’s staff but on Saturday he learned that he still had an offer from Florida. Saturday was Holmes second visit to Gainesville and he likes several things about Florida’s program. The Gators haven’t been recruiting Holmes as hard as others and he says that has put Florida behind other teams early in his recruitment.